3) Same day appointments available. What is Chiropractic? The word "chiropractic" derived its name from the Greek words meaning "done by hand". Chiropractic is a conservative approach to health restoration, maintenance, and disease resistance. As a natural health-care method, chiropractic, by choice, does not utilize drugs or surgical procedures. While chiropractic recognizes that drugs and surgery may be necessary at times, it also understands their limitations and risks. Therefore, chiropractic takes a non-invasive approach to illness 1. An adjustment is the specific manipulation of vertebrae which have abnormal movement patterns, spinal stress, or fail to function properly. 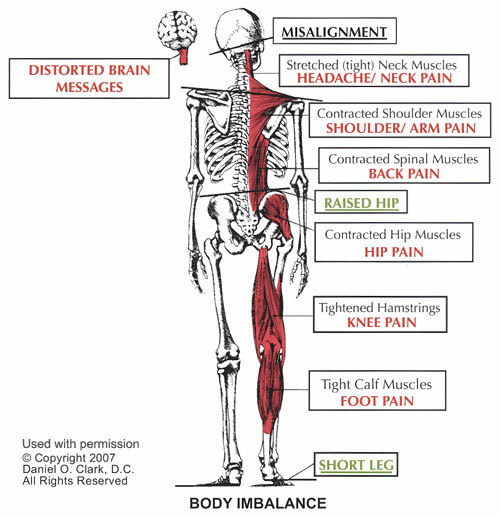 Unless corrected through adjustments this abnormal spinal function and stress may negatively impact nerve activity. What is Chiropractic Maintenance? Maintenance care is defined as a treatment plan or schedule that seeks to prevent disease, promotes health, and prolong and enhance the quality of life; or therapy that is performed to maintain or prevent deterioration of a chronic condition2. The frequency of chiropractic maintenance visits is determined by you and the chiropractic physician. In many cases, you might not even realize your spine is misaligned, because you may not be experiencing pain. But misalignments can lead to a gradual deterioration of your health and well-being. This is where your Chiropractor can help. By correcting spinal mis-alignments and removing the interference in your nervous system, your Chiropractor can help your body function more efficiently on all levels. And while pain often motivates people to seek the help of a Chiropractor, you do not have to be in pain or discomfort to benefit from Chiropractic adjustments. In fact, ongoing chiropractic care may promote your body's ability to heal itself and may lead to decreased incidences of certain ailments and injuries, while helping you reach and maintain your optimal health goals. At Safe Haven, our mission is to help improve the quality of life through affordable and convenient chiropractic care. Absolutely, in fact we have hundreds of children in our practice. Children love visiting the office, both for our large play area and for the care they receive. We encourage chiropractic to be a family affair because it’s never to early to live without nerve interference. Children need to be checked regularly to insure proper neurological development. It’s also just as important for the developing fetus and expecting mother which provides for a safer easier delivery. We firmly believe that the cost of living without nerve interference and the resulting decrease in health is greater than the cost of chiropractic care. We believe you have a undeniable right to health and living your highest potential. With this principle in mind we also believe that everyone in our community should have access to a natural health care option which is why we offer a unique fee structure designed around a community committed to living healthy. Treating Headaches, Neck Pain, Back Pain, Knee Pain and Hip Pain in South Lake Tahoe.